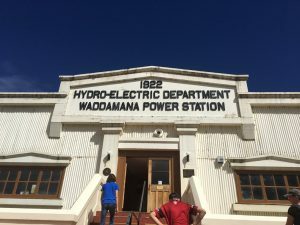 We woke up to another day of beautiful sunshine and blue skies, with the temperature destined to hit the 30’s, we hit the road early to visit the Waddamana Power Station Museum, part of the Tasmanian hydro-electric system. A quick stop at the Penstock Lagoon, the last body of water before it traversed down a long pipeline into the Waddamana Power Station. In the picture above, there used to be a building right where I was standing, on top of the concrete you can see. You can do as much or as little as you want, go at your own pace. Most importantly, I came away more educated than when I went in! The summary of Waddamana Power Station: Along with the Shannon Power Station, they produced 107MW of electricity at their peak in the early 60’s; when the Poatina Power Station came online, it produced almost 3 times the electricity at 313MW! 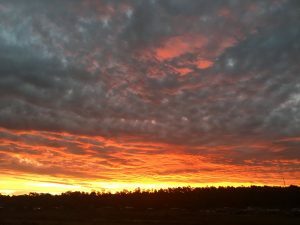 This spelled the end for the Waddamana A and Shannon Power Stations. 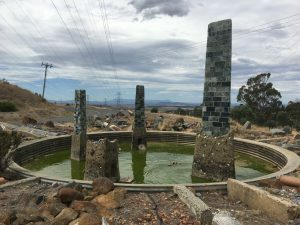 Hydro Tasmania has done a wonderful job in keeping Waddamana A as a living museum. We’d whiled away a couple of hours here before moving on towards Arthur’s Lake. 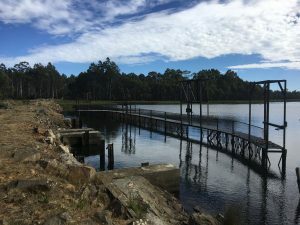 There’s not much here unless you like fishing – the water from Arthurs Lake is pumped into the Great Lake in aid of servicing the Poatina Power Station. 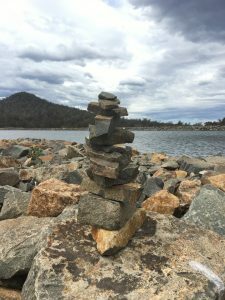 After skimming stones, creating another cairn and eating lunch, we decided at that moment to visit the town of Poatina, to see the other end of the process and what took over from Waddamana and Shannon power stations. We stopped outside Poatina to view the town’s monument, which looked in need of some TLC – the weather was hot, the wind was dry and hot and stifled you when outside. 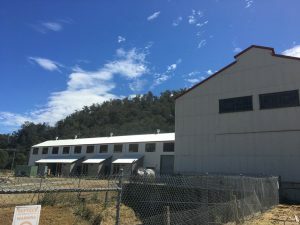 After looking for the obligatory cache, we drove through the town of Poatina, which had been built in the 60s to house the workers building the power station. 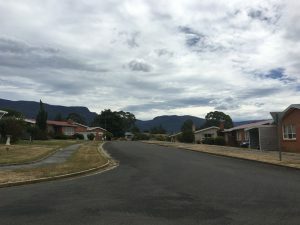 Hydro Tasmania sold the village in 1995 to Fusion Australia, an Australian Christian Youth and Community organisation that works with young people and their communities throughout Australia. We headed home via Mt Blackwood, home to the Poatina Hillclimb, stopping for a picture at the lookout part-way up the hill. 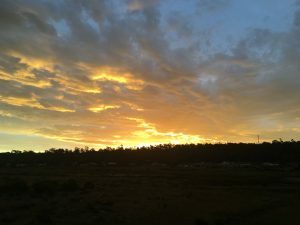 The sunset was particularly awesome so you have to take some pics! 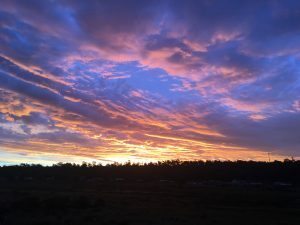 Tomorrow: we head to Mole Creek to continue our Tasmanian Highlands adventure!